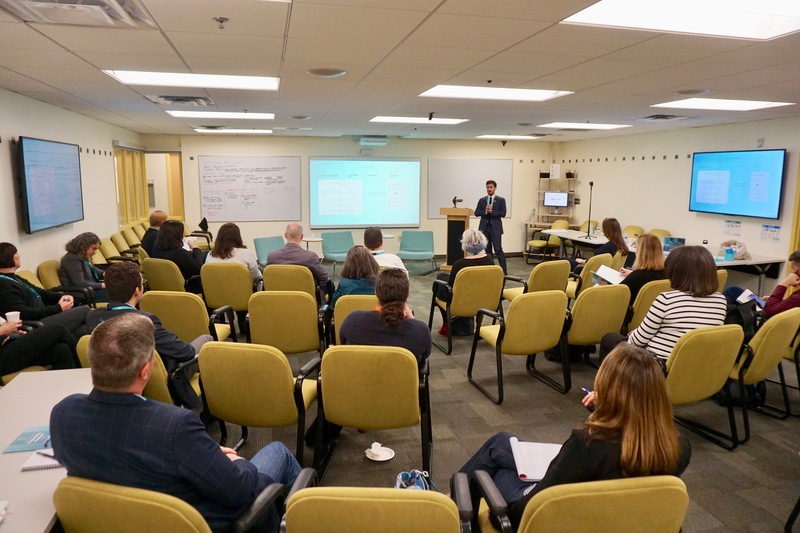 On 24 February 2019, Datamaran hosted its first USA User Forum in Phoenix. 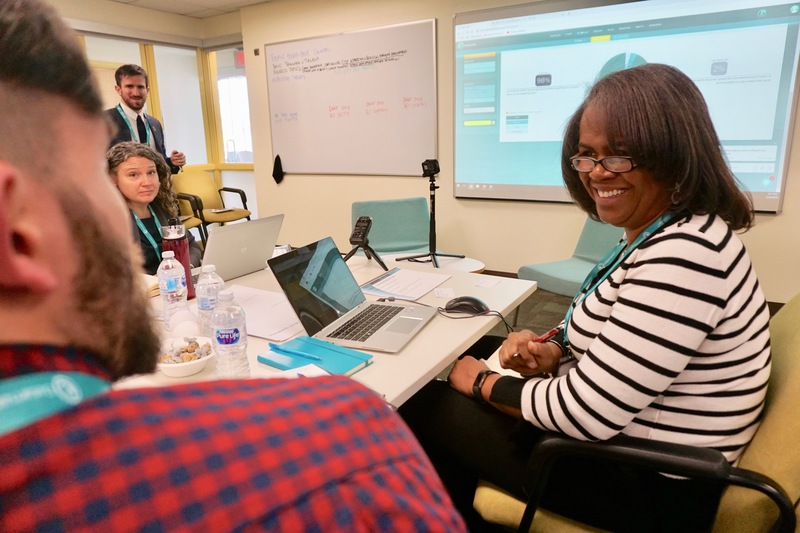 The day consisted of a workshop, where Datamaran users had the chance to learn how to take a deep dive into the challenges facing their industry. 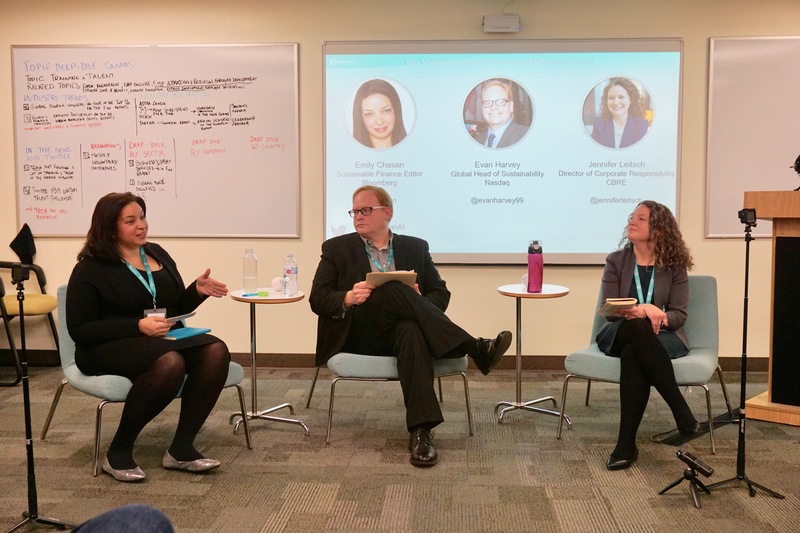 This was followed by a stimulating Fireside Chat with Evan Harvey, Head of Sustainability from Nasdaq, Emily Chasan, Sustainable Finance Editor from Bloomberg, and Jennifer Leitsch, Director of Corporate Responsibility at CBRE. They discussed one of the hottest topics of the moment – why materiality of non-financial issues matter to investors. Investors are becoming increasingly concerned with the way companies are determining their material non-financial issues, calling for more disclosure and transparency on the subject. When done properly, materiality assessment can play a holistic role in defining corporate strategy by enabling companies to learn more about themselves – has been concluded during the fireside chat facilitated by Chasan. As Harvey explained: “Materiality has always been a useful focusing lens for companies to look at internal and external dynamics that affect long-term value creation”. Jennifer Leitsch, Director of Corporate Responsibility at CBRE echoed Harvey’s point and shared her personal experience with CBRE by highlighting differences between different frameworks. CBRE follows the GRI definition of materiality in its assessment. However, she continues, while the GRI Standards give a much broader lens on the materiality and sustainability of the company itself, SASB gives deeper insights on shareholders and investors value. This allows CBRE to include in the analysis the data that investors are interested in. “If we don't give them the information they are asking for – Jennifer concludes – they will gather it from other sources, with the disadvantage that we would not be able to engage with them in the process”. ​Why materiality on non-financial issues matters to investors? Investor interest in materiality has increased significantly in the last years, in particular, in the process of determination of material risks. This resulted in an increased attention to the methodology behind the assessment, but also to possible bias investors may have when evaluating corporate Environmental, Social, Governmental (ESG) performances. As Harvey pointed out, there is a heavy reliance from investors on data providers with different methodologies, and often they have little transparency on their approach. The investors’ demand for better disclosure on ESG issues is having a positive effect on companies, pushing them to do more. This is why a strong materiality analysis will bring more convincing evidence to investors and bring corporate-investor engagement on ESG to a next level. What this next level will include, though, is yet to be determined: Harvey suggested that investors will lead the discussion with more targeted capital allocation, while Leitsch referred to increasing disclosure on lobbying activities. Moving forward, Donato Calace, Director of Accounts and Innovation, explains that Datamaran is planning to leverage advanced narrative analytics to identify emerging risks and opportunities and to mitigate them. Example of that could be correlating the information around a topic with its geographical location or its stakeholder groups. “There is a lot that can be learned by reading SEC filings, sustainability reports, and non-financial reports. The point is that the scope of the reports has become so vast that is not possible to read everything. Technology helps us and allows to identify the top material issues automatically” – said Calace. Having said that, Calace pointed that Datamaran is already offering the most comprehensive materiality analysis on the market, bringing concrete evidence of which ESG issues are material and why. In addition, the platform helps companies to analyze relevant stakeholders (investors, policymakers, general public) and allows to build a comprehensive audit report, ready for third party reasonable assurance. “We have been using Datamaran for benchmarking for a few years now, but the Materiality App has brought a new level of engagement” – stated Leitsch during the fireside chat. And yet, the workshop proved that there is always more to learn and that data can always provide meaningful insights on material topics. 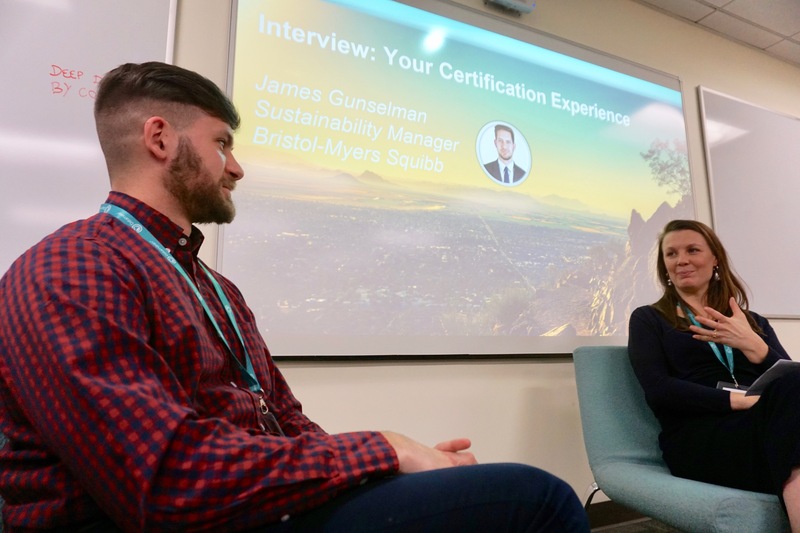 Echoing Leitsch’s vision, James Gunselman, Sustainability Manager from Bristol-Myers Squibb – who has embarked on the Datamaran Certification journey – shared his experience, highlighting how much the program helped him to better understand ESG data. Prior to Datamaran, Bristol-Myers Squibb used to rely on a more unstructured process. Working with Datamaran allowed them to concentrate everything in the same place, having data easy to access and ready to share. “It’s awesome to have analytics in which you can immerse”, Gunselman concludes. The Datamaran is pleased to be hosting the User Forums on a regular basis to ensure a continuous learning. Follow us to stay up to date with the User Forum schedule.